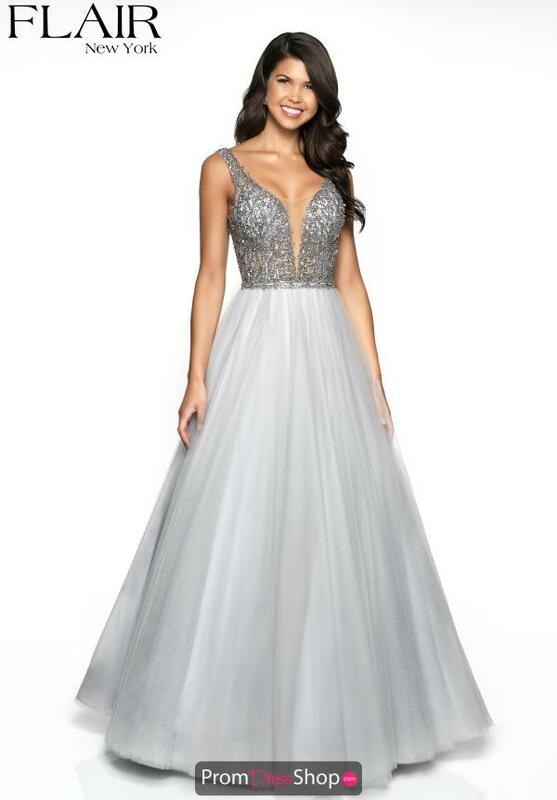 Be the center of attention and wear this beaded ball gown 19210 by Flair for your social occasion to make the ultimate fashion statement. The fitted bodice showcases a plunging v-cut neckline with beaded thick straps that leads into a low cut back. The bodice is adorned with shimmering bead work to ensure you sparkle throughout the night. A-line silhouette is made with delicate tulle fabric that will flow seamlessly with every step you take.